Hello – need help with License upgrade? yes. all seems to be updated and in working order though we just were able to update last night. if we have another problem ,we will let you know. fingers crossed that all is good. i guess somehow something might have gotten corrupted somehow. The issue seems to have been resolved. I had our hosting company revert back to a restore point of a few days ago and now it seems to be working again. We were not able to see the auhorize.net menu at all. We do have the deactivation safeguards enabled. Yes… new registrations are receiving the email with username/password so we are certain that WP does send emails. We ran a test with a new user which we have the email for. this did not seem to work. is there something that is missing from that code above? woohoo! rock on. gonna give this a go. Thanks… will report our results. If you do a massive transfer as we did, and have to put in ARB’s manually to start make sure ONLY necessary fields are in the INITIAL ARB. It will cause an update error not an S2 issue, but it will not be seen UNLESS you look at the original ARB set up. If you have any questions feel free to contact us at MorningCoach.com – S2 Rocks!!! Please close – this was a ARB subscription issue on our end. We have resolved the issue. One things we updated S2 to the current version and we still only have to fields in the state space, we need a few more for our international clients. Thank you very much guys!!! Great support – took us 4 days but we found the issue!!! 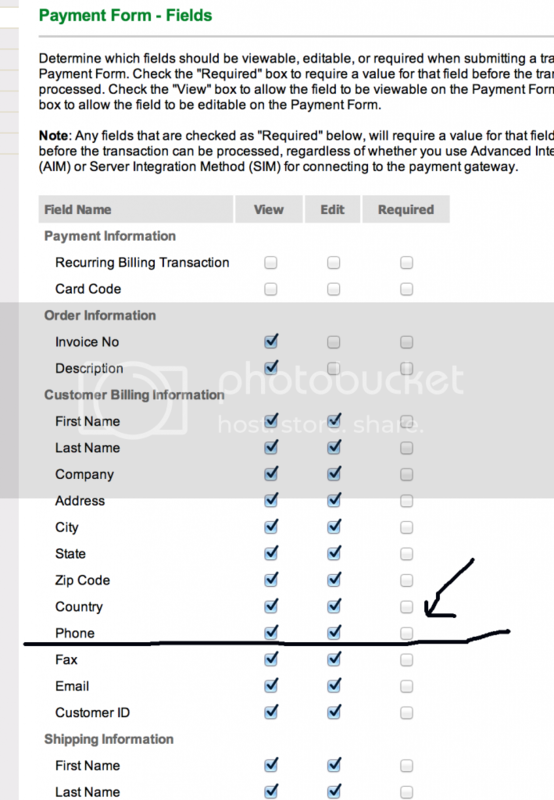 As soon as we find out why it is sending phone or whatever field we will let you know what the issue is. This is only occurring on update, and Authorize is telling us it may be another field issue. We only need to update the CC. going on and if we need some assistance in the code. We really, really need help with this – I have 100 members suspended because they can’t update their cards, and have 5-10 coming tomorrow depending on how many declines we have. Everything else is working great and we have gotten this far. This is our last real issue. We have been at it for 2 days and cannot find any field in S2 – all we need is the location so we can get it out of the code. Would love to get some support on this. I know you guys are swamped. Just need to know where is this phone field that is throwing off this error. This reply was modified 3 years, 11 months ago by JB Glossinger. that seemed to work. We ran a few tests and after about <24 hours after authnet declined them, they were converted to subscriber level. Now we only need help with one more issue (for now) that is preventing members from updating their billing info. As soon as you guys can provide any insight would be great, we’ve tried digging through the code but can’t seem to find where this would be. It’s preventing us from allowing users to update their information. authnet pro forms and updates for ARB subscriptions. Thanks again for the great work you do! Thanks for the quick response. Our values are unchecked for required, just view and edit are checked and we are getting that error. Could it be another area? We just fixed it last night – close to what you are telling us to do. Thanks for the help…. we are loading the file into WP for our Jwplayer on site and putting the additional file up in AS3. We may switch to Amazon Cloudfront all the way. But for now this works. I do have to upload the file 2X’s but not a big issue we wrote the php script for mobile to look for the identical file in Amazon S3. (I am not the technical guy, but this is what one of our programmers did). Bottom line – we have a file in WP that goes to JWplayer for standard computer browsers, and a file in Amazon the JWplayer reads for our mobile JWplayer. Jason, thanks for your attention to detail here. You guys are great. If a user finds this later and is having the issue we don’t mind sharing what we are doing. If I did not have 1600 audios to upload would go Amazon all the way -For someone just building l would suggest they use Amazon Cloudfront. We may just do that – we will have a meeting on this tomorrow. Tomorrow we start on EOT, we have everything running fine, except on decline and expired cards from our initial import. For some reason the ARB is being suspended, but the information is not getting back to S2 member to drop them down in level. We have been working on getting our players working so this was held off till tomorrow, but we may need some support. Jason, truly awesome support – thank you very much. 1. Does S2 E-mail members letting them know that they have expired CC that needs to be updated, if so when? Does it do it through Aweber? 2. Our current system attempts to charge an expired card 8 days in a row before the account becomes invalid, Can we do the same with S2, if so how do we do that? 3. Does it send a confirmation e-mail that someone is cancelled? How do we know? Do we get an e-mail too? Look forward to hearing from you soon, thanks. Thank you, we are currently running a custom script – it charges the Auth.net ID on the date that it is due, so you called it. OK, got it. If the user doesn’t have a subscription running with Authorize.Net and, instead, your custom script makes the charges and manages that, then they’ll need to start a subscription with Authorize.Net through an s2Member pro-form when you’re ready to migrate them from the old system to s2Member. This reply was modified 4 years, 1 month ago by JB Glossinger. Thank you that helps me out tremendously – have a great day! !